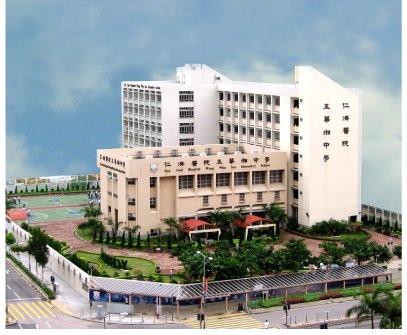 Located at 8 Tong Chun Street, Tseung Kwan O, Yan Chai Hospital Wong Wha San Secondary School is a government-aided secondary school that was established with a donation from our late founder, Mr. Wong Wha San. Since opening in 1999, our school adheres to the Yan Chai Hospital motto of “Serving the Community in the Spirit of Benevolence” and provides a quality, holistic education. We hope that one day, our students will be able to make a valuable contribution to both our society and our country. Our school aims to provide all students with a multi-faceted, school-based curriculum, that will enable students to develop independent thinking skills, the ability to distinguish between right and wrong, a positive attitude towards life and a thirst for knowledge. We aim to make our students life-long learners, and their years at school are the beginning of this journey. Therefore, it is also essential to equip our students with excellent language skills; advanced skills in information technology; a broad, global perspective and a high moral standard, so that they can better serve the citizens of Hong Kong, our local community and their country in the future. Adhering to the principle of “Serving the Community in the Spirit of Benevolence”, we pledge to provide our students with quality holistic education and to develop our students into the pillars of our country. develop a sense of integrity, justice, patriotism and a commitment to serve the community. Cater for students’diverse learning needs. Strengthen students’ sense of belonging by deepening the “Whasanian”culture. Build towards a Learning School.